Acne is truly a nightmare for the skin. Appearing under the forms of whiteheads, pimples, blackheads, or cysts, acne breakout is one of the reasons for bullying in schools and also a factor lowering the confidence of sufferers. It is estimated that at least 70% of young adults in Americans experience acne. As acne is considered as a universal problem for all people, the number of acne treatment available in the market is uncountable. However, it is common sense that these products always include harsh chemicals that can have side effects on our health. 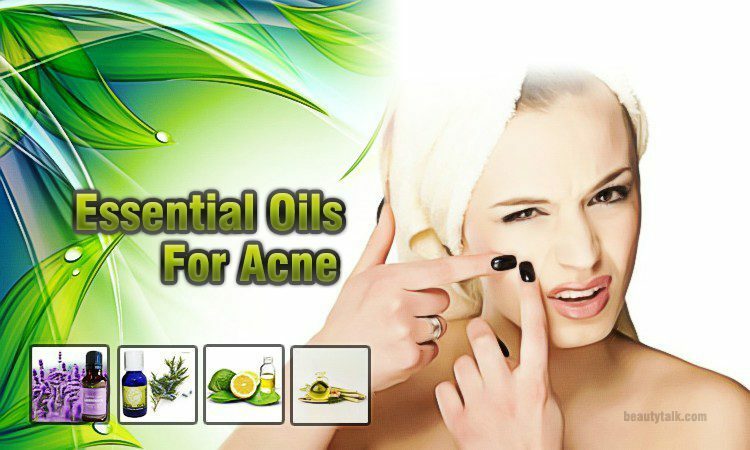 Therefore, essential oils for acne are highly recommended as they can naturally fight against the acne and nourish the skin in a safe way without making any injury such as skin irritation, which commonly caused by chemical products. In this article, Beauty Talk will introduce different essential oils that can work well for your acne condition. 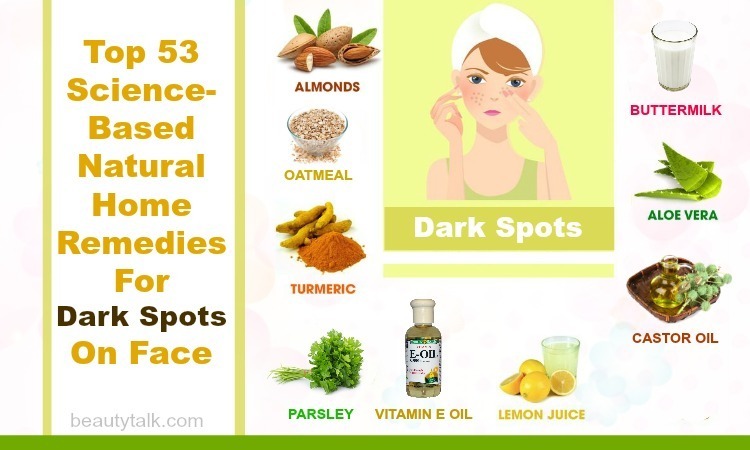 Let see how these natural products can help you out of this skin problem. Most of the people have occasional acne and blackheads at some points in the life. This skin condition not only causes unsightly breakouts and pain on your body but also results to scarring and diminished self-esteem if left untreated. There are a lot of reasons for acne that include bacteria, dead skin, excessive oil production, and clogged pores. 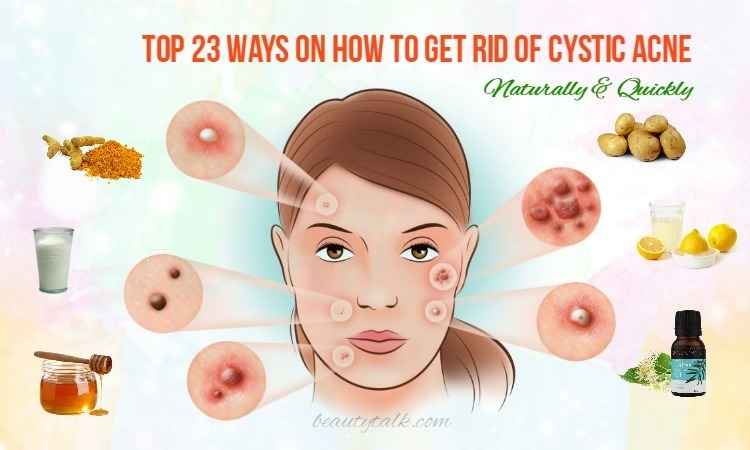 Meanwhile, other factors, for example, diet, stress, hormones or medications (androgens, corticosteroids, lithium, and birth control pills) can also make the acne condition worse. Acne breakout frequently happens when people reach their teenage years. This can be explained by the changes in hormones level, the stress from personal life and schools, genetics and skin-irritating activity. Tea tree oil is always the top essential oil for acne thanks to its antifungal and antimicrobial properties. Plenty of products containing tea tree oil are available in the market and also the common choice for many people who want to self-treat their acne. This essential oil is also effective in fighting against enveloped and non-enveloped viruses while containing antimicrobial components . According to a study in 2007, the topical 5 % tea tree oil has been proven to be effective in mild to moderate acne vulgaris treatment . An experiment with the participation of 6 patients divided into 2 groups has been carried out. One of the group was treated with the placebo while the other applied tea tree oil. Lasting for a period of 45 days, the study recorded that there was a significant difference between placebo and tea tree oil in acne improvement. More specifically, tea tree oil was 3.6 times more powerful in treating total acne lesions count than the placebo and 5.8 times more effective in regard to the overall acne severity. To apply tea tree oil for your skin condition, let add 2 to 3 drops of this oil to a cotton ball before applying it to the acne area. You can use this essential oil during your face or body washes every day. Alternatively, prepare a spray bottle filled with some drops of tea tree oil and water to spray over your face and body. See more: How effective is tea tree oil for scabies treatment with these ways? 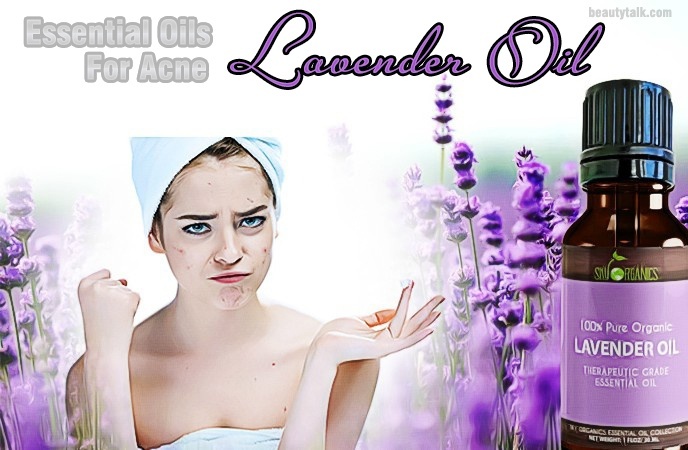 Lavender oil is another essential oil that can benefit our skin condition, especially acne problem. 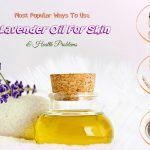 Well-known for the ability to soothe the damaged skin and calm nerves, lavender oil is often used to treat the skin damages and scars, which are caused by acne. A study published in 2016 proved that lavender oil showed the potential for promoting wound healing by enhancing the tissue formation in the early phase . Moreover, as stress is one of the reasons leading to acne breakout, the relaxing effect of lavender oil when inhaled makes it an effective essential oil for acne. Based on a study available in the Journal of the Medical Association of Thailand, lavender oil could decrease heart rate, blood pressure, and skin temperature . One more good thing about lavender oil is that it is normally easy on our skin and does not generate irritation and excessive dryness . All you need to do is diffusing about 5 drops of lavender oil at home. In another way, you can topically apply it to the back of neck, wrists or temples. Lemon, one typical type of citrus fruits, is often used in the form of essential oil for getting rid of the pustules and pimples caused by acne. If your complexion is oily, this oil can also work well in reducing excess oil on your skin. 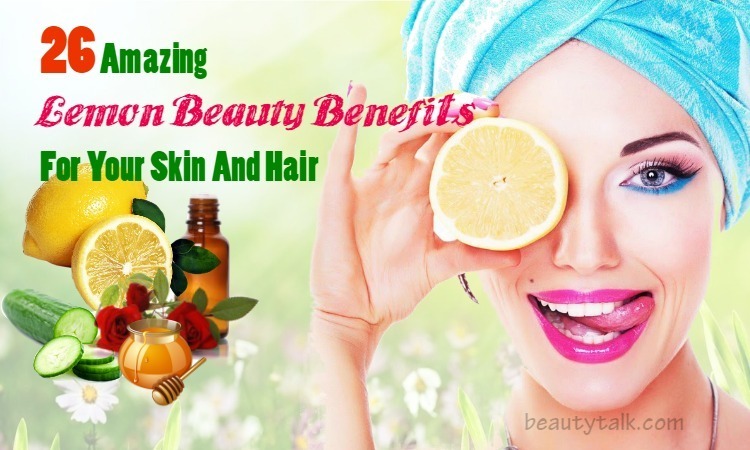 Moreover, the astringent qualities of lemon oil can tighten the sagging skin very effectively. Normally, citrus fruits are well-known for the antibacterial properties and lemon is not an exception. Containing the phenolic compounds, lemon oil can destroy bacteria that are responsible for causing acne. This oil also possesses a high source of limonene, one type of antioxidant that can prevent acne infections from spreading out. Eucalyptus oil is proven to be able to reduce sebum and excess oil on the skin, improving the acne condition quicker. The antibacterial properties it contains also help in fighting against Propionibacterium acnes strain population in a human body. Popular in Australia as a powerful natural remedy, eucalyptus oil has potent antiseptic properties that are very helpful in healing skin conditions such as acne and also in preventing acne breakouts . Even though the topical use of this essential oil is non-toxic, it still can trigger asthma attacks. Women in pregnancy are advised not to choose eucalyptus oil. Internal use of it is also proven fatal, so don’t apply it directly to the nostrils. When it comes to acne condition, clary sage is also a great option as it can reduce skin inflammation and also act as a natural remedy for skin irritations. It helps control the oil production on the skin, one of the factors leading to breakouts. This essential oil is also effective in restraining the development and spread of bacteria and supporting hormonal balance. Similar to lavender oil, clary sage can ease the feeling of anxiety and stress. Stress is always the most common reason for acne in adult women as it can increase the stress hormone level. And clary sage has the ability to calm the mind and reduce the anxiety in a female, according to a 2013 study . Moreover, thanks to its antimicrobial properties, this essential oil is considered as an active natural antimicrobial agent that can be used to treat wounds and various skin infection . To effectively use clary sage for acne condition, you can diffuse 5 drops of the oil at home to receive the power of scent and reduce anxiety. If you want to kill the bacteria clogging your pores, let apply about 3 drops of clary sage oil to the concerned area. Or else, you can use a cotton ball to massage the essential oil on your skin. Coconut or jojoba oils can be mixed together to increase the result. 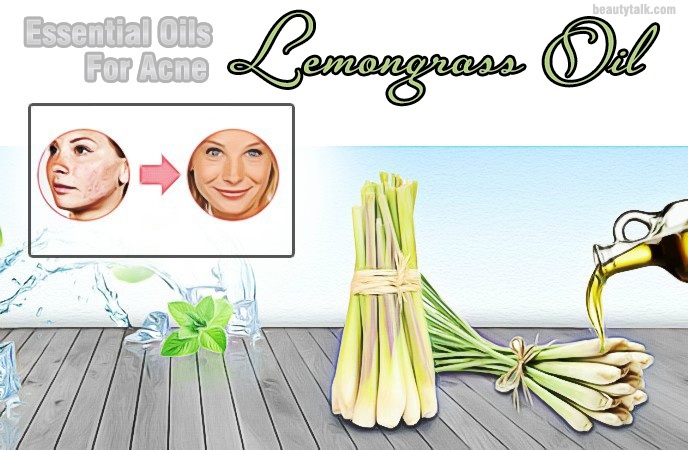 Lemongrass oil is another natural astringent that can be used for reducing the appearance of acne. 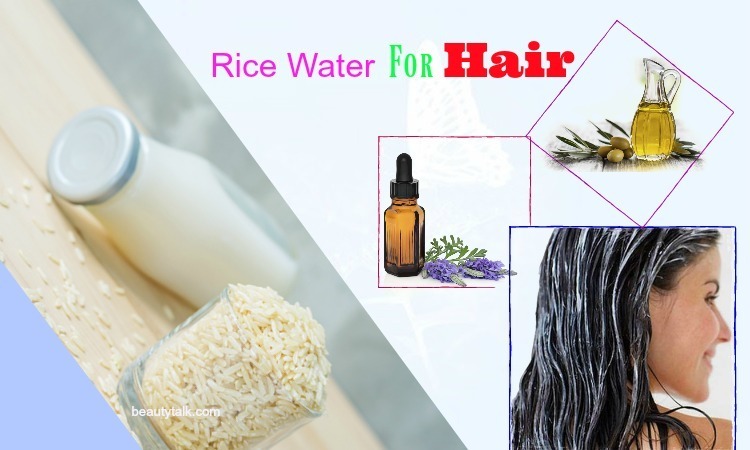 It can be found as a component in hundreds of cosmetic products. This essential oil can not only remove the excess oil that worsens the acne condition but also make pores look smaller. Lemongrass oil possesses the unique antifungal, antiseptic, and antimicrobial chemicals that make it an amazing astringent. When contained in a cleanser or toner, lemongrass oil supports the products to tighten and firm the complexion. 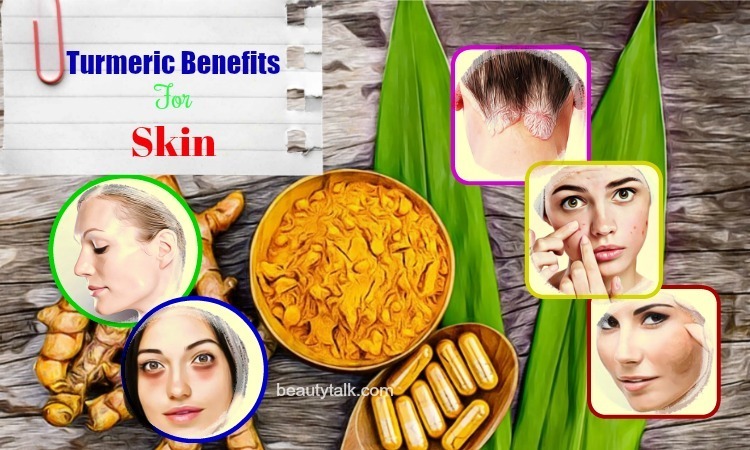 This natural remedy is also very active in contracting pores and creating a strong barrier of firm tissue under your skin to prevent the harmful agents appearing in the atmosphere . Whenever lemongrass oil is applied, remember to dilute the drops before using to avoid hurting your skin. If you are pregnant, be extremely cautious when using this oil for acne condition. Thanks to its antimicrobial properties, basil oil can provide great benefits for the skin with acne condition. It is proven to effectively nourish the skin and protect the skin from germs and other bacteria that may lead to skin infections and inflammation. Scientific studies have proven that holy basil, sweet basil, and African basil extracts can kill off P. acne bacteria as they possess antioxidant and anti-inflammatory properties. In one study, the result showed that the effect on acne condition of sweet basil is the strongest among three types of basil. Although the use of basil essential oil is safe and hardly any side effect is recorded, it is still a good idea that you do a quick patch test in advance. Apply some drops of oils on the back of the wrist and wait for 20 minutes to check the skin reaction. This aromatic spice contains strong disinfectant properties, which make oregano oil a great anti-acne essential oil. It is also very effective in accelerating the healing process and stopping the infection from getting worse. The most noticeable advantage of oregano oil is its high content of antioxidants and anti-inflammatory. Packed full of flavonoids, phenols and other sorts of antioxidants, oregano can reduce the possibility of blocked pores and also ease the chronic inflammations, which is one of the reasons making your acne red, swollen, and painful. Moreover, this oil is full of nutrients; therefore eating oregano frequently can provide you different types of minerals and other excellent benefits on your skin. Juniper berry essential oil is one of the most effective natural remedies for treating skin infections and irritations. Thanks to its natural antimicrobial and antibacterial abilities, this essential oil is popular as a home remedy for fighting acne condition and supporting beautiful skin. Juniper berry essential oil also offers stress-reducing and detoxifying effects for the skin that can prevent the toxins from attacking your body. 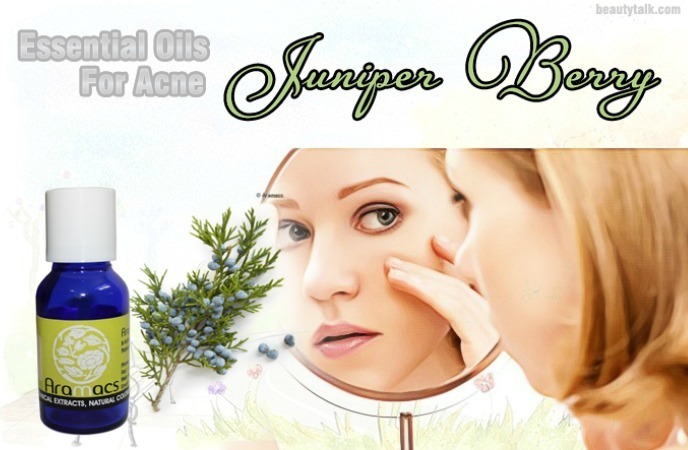 In 2005, Pharmaceutical Development and Technology published a study indicating that juniper berry essential oil contained antibacterial properties that act as an anti-acne solution. Moreover, the antimicrobial activity that juniper berry oil carries out is contacted with acne vulgaris. It is considered as a promising anti-acne agent that can help you deal with the skin condition . Another study in 2005 also pointed out that juniper berry oil, as an antibacterial agent, is very powerful in fighting acne due to its specific compounds, which include alpha-pinene, beta-pinene, and p-cymene . For this tip, let apply 2 – 3 drops of juniper berry oil directly to the skin area having acne condition. If you have sensitive skin, diluting the oil with jojoba oil or coconut oil is highly recommended. Sandalwood oil is considered as an effective yet soothing essential oil that is applied to deal with many common skin conditions, including cuts, rashes, burns, and acne. This oil is found in many soaps and lotions due to its amazing healing properties and pleasing scent. Sandalwood oil is a powerful antiseptic herb thanks to its antimicrobial properties. It can fight against the bacteria and remove the excess oil that blocks the pores and leads to blackheads and pimples . A clinical trial in 2007 also showed that its components contain antiviral and bactericidal properties. Another natural remedy that is well-known for the ability to reduce stress and inflammation and also the soothing properties. Not only does this oil get rid of infected pores (for example, swollen red bumps), it is also an excellent natural acne treatment due to its antibacterial properties. This essential oil is traditionally used for treating the bacterial infection with its antimicrobial and antioxidant contents. When applied to the skin, chamomile oil can ease irritation, including rashes, sores, and other inflammation condition. Frankincense oil is one of the powerful anti-fungal, antimicrobial, antiseptic, and antibacterial oils that can effectively fight against acne-causing bacteria and prevent acne breakout in the first place. Moreover, frankincense oil can control the greasy and oily skin, without drying it up. The great anti-inflammation properties found in this essential oil can cool down the irritated skin, provide acne relief, and soothe inflamed acne. Another reason that makes frankincense oil a wonderful essential oil for acne treatment is its potent astringent properties. It causes the cells’ contraction; helps reduce the pores’ appearance and prevent potential inflammation and acne breakouts. Bergamot contains strong anti-inflammatory properties, which are very important in easing acne inflammation and preventing acne from getting worse. 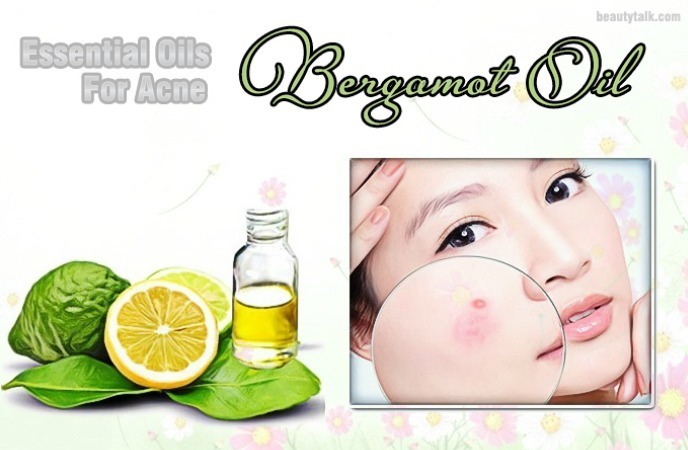 The potent antiseptic content of bergamot oil also helps fight against acne-causing germs, reduces existing acne and prevent further breakouts. As one of the citrus-based essential oils, bergamot is full of strong antibacterial properties, which can reduce the acne pimples and remove blemishes on your skin. If your acne condition is painful, this oil will provide the relieving effects with only a few drops. Another essential oil that can help you to boost the natural homemade acne treatments with its antibacterial properties is patchouli oil. It is a powerful therapeutic herb originated from the mint family and often used as a powerful natural remedy for acne condition. A study in 2013 found that the antibacterial activity of patchouli oil made it as effective as some types of antibiotic drugs. If you want to keep your skin looking healthy and young, you can use patchouli as a great toner as it can help to get rid of fine lines and wrinkles. Acne is an unexpected guest that can visit your skin whenever it wants. If proper treatment is not carried out on time, this skin condition can leave ugly scars on your face and lead to other more severe skin-related problems. Even though there are a lot of options on products for acne treatments available, many people still place their trust in the natural remedies, which are essential oils for acne. Full of antioxidant and nutrients that benefit the skin conditions, these essential oils can deal with acne in a safe way without any side effects. 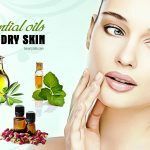 If you have sensitive skin type and worry about the unwanted effects of skin care products, let try essential oils recommended in this article. Their effectiveness will not let you down. 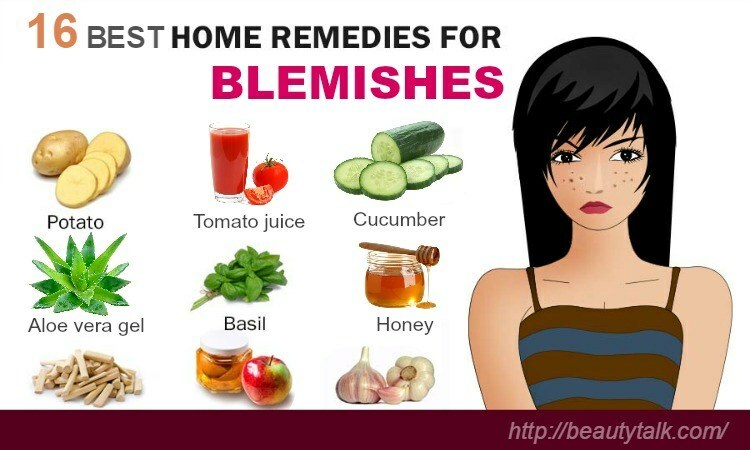 If you have any more ideas on the essential oils for acne, please share with us. For more information, please visit the main page Skin Care.